When purchasing a commercial property, the buyer works mostly on a checklist and the property must fulfil certain criteria, says Rainer Stenzhorn Director of Marketing & Sales, at In2assets the commercial & Industrial property company in Durban, South Africa. The most essential characteristics of a truly great Commercial property comprises location, income, accessibility, available power, yard space, vehicular access and visibility amongst other important factors. Commercial properties vary greatly in terms of type, shape, size, and building requirements. Whilst some commercial properties require very specific layouts and configurations, options most of the time allow owners to tailor-make a property to accommodate the special requirements of a tenant, comments Stenzhorn further. 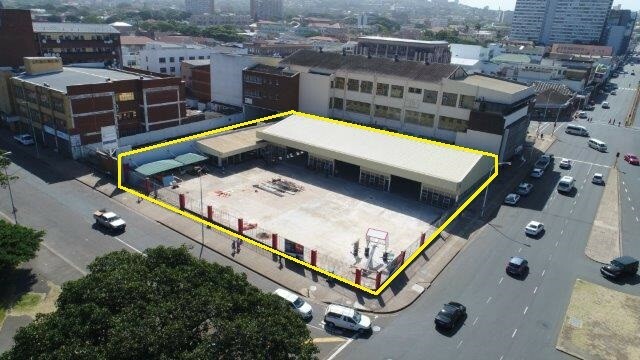 A property that certainly meets all the above requirements is a commercial retail property in Congella being a prominent industrial node of Durban. This prominent property is due to its location ideal for Cash & Carry, Supermarket, Hardware shop, Car Dealer or general dealer. The brand new re-developed building has also caught attention of quite a few local congregations, with the intention to position a place of worship onto the property, ends Stenzhorn. Due to the competitive way of selling, the owner has decided to put the property up for auction. The auction day is the 21th of February 2018 11h00 at the Durban Country Club.